Printflow DIPS (Digital Ink Preset System) fits almost all printing presses, making your press CIP3 compatible. Most printers with older presses do not have this function and their only choice is to set ink key manually. Without CIP3 automation these presses cannot be as profitable as they could be with an ink preset system. Printflow DIPS links your prepress workflow and your press console, automatically programming ink key settings for each new job. The DIPS package includes the hardware and software necessary for communication between prepress equipment and press consoles. Installation is simple and operator training can be done in a couple of hours. 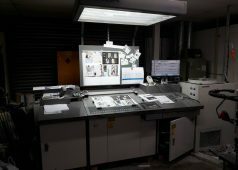 Printflow DIPS turns your older presses into a modern production workflow. And, Printflow DIPS can do the same for new or newer presses, often at cost less then OEM prices. In today&apos;s competitive business enviroment there is an ever increasing need for more productivity, offering a rapid turnaround, while maintaining the highest level of color consistency. 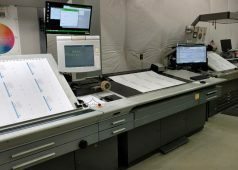 Printflow DC expands the benefits of CIP3 compatibility (Digital Ink Preset System) and advanced closed-loop color management. Printflow DC works with scanning densitometers and spectrophotometers from Techkon and X-Rite. 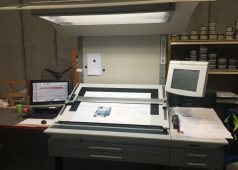 When scans are executed, the scan data is automatically sent to Printflow DC where it displays both the measured values and the necessary key movements to correct the color. The data is then transfered directly to the press console. The press console automatically adjusts the ink keys to enable the required colors to be achieved. 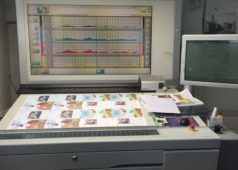 DIPS from Printflow is most flexible ink preset system on the market, especially in multiple press environments. 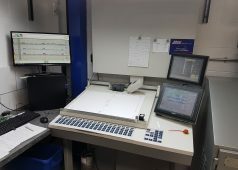 Printflow DIPS provides a single, common system for all presses within a plant regardless of the make and model press and ink control console. For over quarter century we have been developing and manufacturing press interfaces for ink control consoles. 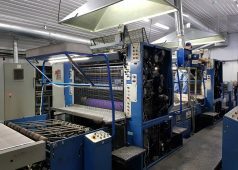 Years of knowledge allow us to seamlessly integrate state-of-the-art ink preset and color control systems into your pressroom, no matter the make or model of your press and ink control consoles. 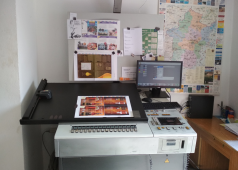 Thousands of presses worldwide have been integrated through Printflow solutions. 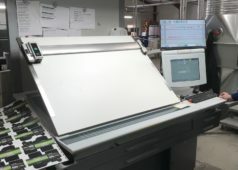 Printflow solutions greatly improve your productivity by shortening make-ready time and reducing paper waste. More jobs can be produced in less time and pressroom savings gives you one of the fastest ROI in the industry.